The all new Jaguar XF will make an extraordinary journey across London on 24th March, one week ahead of its motor show debut in New York, USA. Jaguar have teamed up with expert British stuntman Jim Dowdell, veteran of dramatic action stunts, to perform a world first high-wire water crossing in the all-new Jaguar XF. The dramatic drive, across two 34mm-diameter wires suspended high above water, will highlight the lightweight and agile credentials of the new XF. XF was first launched in 2007 and is Jaguar’s best selling car. The next generation XF is completely new from the ground up and will be the second Jaguar model to use the brand’s advanced aluminium-intensive architecture. The all-new XF will set new segment benchmarks for weight and efficiency, resulting in a class leading fuel economy figure. 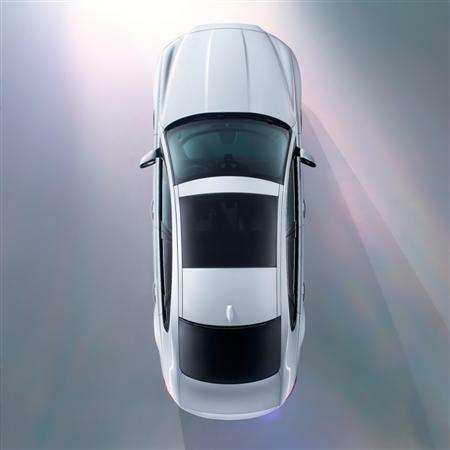 The sophisticated all-new Jaguar XF will offer exceptional levels of technology, refinement, luxury and comfort. Stay tuned for further particulars regarding Australian availability, specifications and pricing in due course.